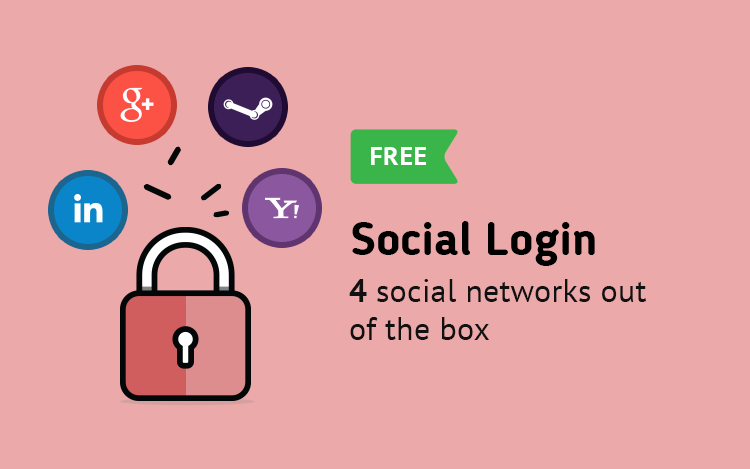 You get 19 popular social network login buttons in one single module and flexible configuration options. With "Social login" you can ask the customer to enter his phone number, address, country or a password - you decide. Ever social network provides an app feature - our detailed instructions will guide you through the process with ease. You can set the forwarding page after the customer signed in for the first time - to complete his registration from the profile page or fill in his address - makes it a lot easier for everybody. Sorting and activation of login buttons and registration fields. I am not seeing the facebook login here, it is shown only google,yahoo,linkedin & steam. how to get facebook login then? Knack Solutions Limited Well in free version of module we don't have a facebook login. It's contains in pro version. facebook login not working in instagam browser. Bhola Gupta can you share link to this browser I will check. I tried to install the module, I followed all the steps but it does not work! Can someone help me? Please feel free to contact us for support at support@dreamvention.com or visit https://dreamvention.ee/support Our developers will help you. The number one social login you will every need. It has over 15 social networks included with the best login flow process that your customers will love. It is powerful and works great with AQC.